Have you ever wondered about those past moments where things happened a certain way not knowing why at the time only to realize sometime later that it was for your own benefit…well that is God taking control everytime. How amazing it is to know that He has your back. You may be going through a tough situation right now but God will see you through if you let Him and trust in Him. He wants you to have that “ooohhh, I get it now” moment so this may be where God has you right now but the plans He has for you are far greater than you can ever imagine. 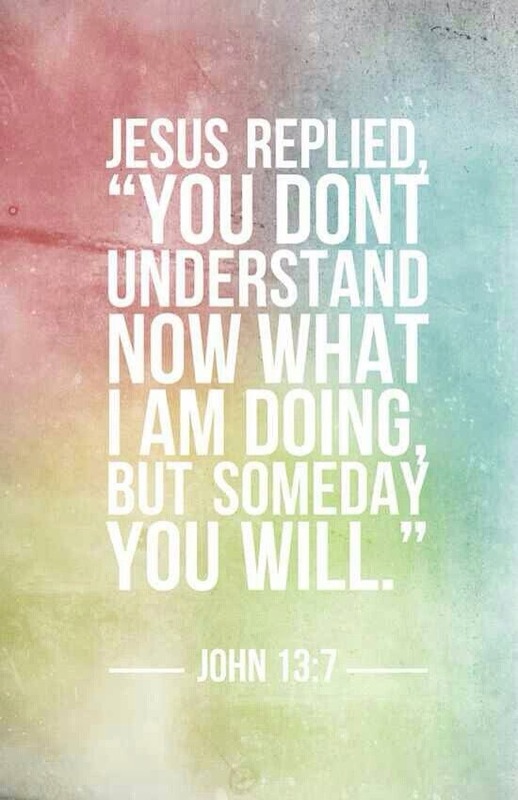 Someday you will understand. « Street Style: Denim On Denim !